FAQ - BEST Automatic Sprinkler Corp.
Am I required to test my sprinkler system? Yes. “All water based fire protection systems shall be maintained in accordance with NFPA 25” (Massachusetts State Building Code 6th Edition Para. 901.4). NFPA 25 establishes the minimum frequency rates for testing and inspection of all water based systems. How long should I maintain the records of inspections? Records for testing and inspection are required to be maintained for the life of the system. How often should I test my systems? Testing and inspection frequencies are noted in NFPA 25. Testing and inspections are done on a quarterly and annual basis. 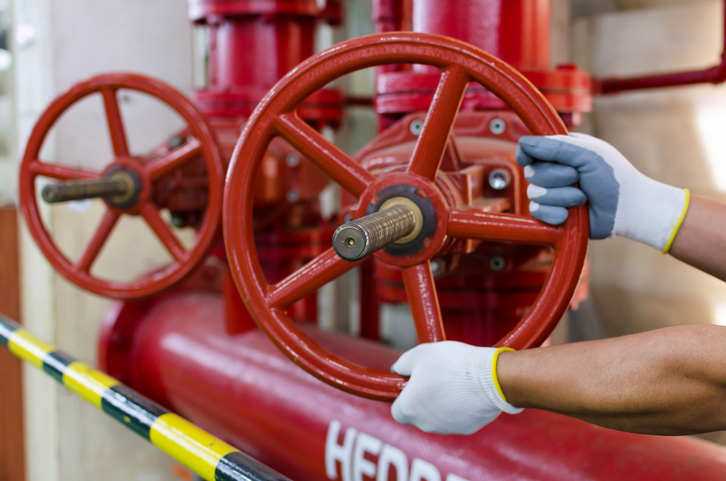 How often should I test my fire pump? Fire pumps are required to have an annual test. How often should I exercise my fire pump? Electric fire pumps are to be exercised 10 minutes per week. Diesel driven fire pumps are to be exercised 30 minutes per week. Who can run the fire pump for the exercise period? It is not required that a licensed operator run the fire pump. The code permits a competent operator to run the pump. There is water leaking on the shaft of the fire pump. Is this normal? Fire pump retaining glands should have a continual drip. This drip rate will be in the order of drops per minute. If excessive, the retaining glands should be adjusted. A note of caution though, do not over tighten retaining glands. The packing in the glands will deteriorate rapidly if glands are too tight. The sprinkler heads on my system were installed when the building was built in 1920 will they still operate?